This year, our team was involved in the international scientific experiment study organized by iGEM and declared on the main page of the iGEM website. Considering the promising nature of intensifying international collaboration and its ability to obtain more significant and accurate results, we were delighted to take part in this study and organization. It is important to remind ourselves of the interlab measurement study basics and the expectations from each lab before explaining the kind of process we carried out and what we have accomplished by joining this study. 1. Designing a wiki page about the contribution and the achievements of study. a. Existing device: BBa_I20260 (J23101-B0032-E0040-B0015) in the pSB3K3 vector. Afterwards, our fluorescence measurement protocol LINK is performed to measure the fluorescence emission. 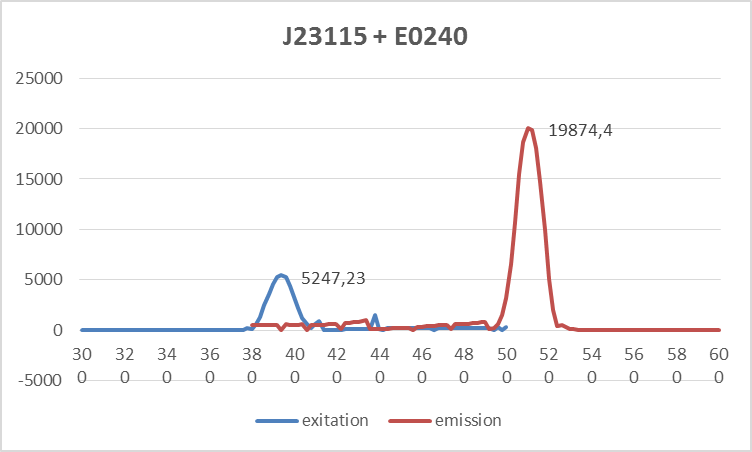 According to the table below, GFP excitation and emission are expected to be observed between these parameters measured by these filters. 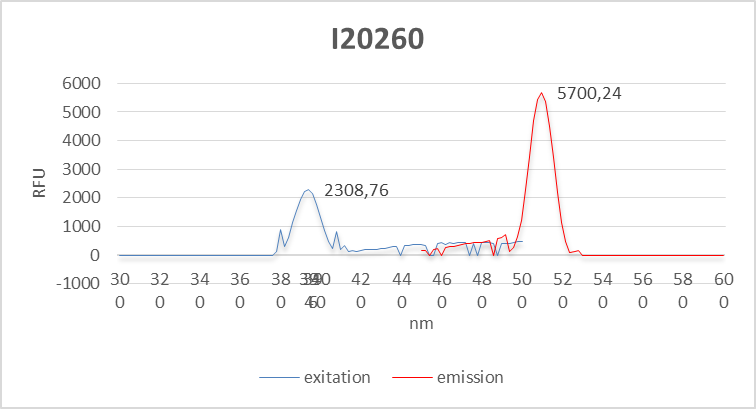 The graphs show that the excitation and emission levels of GFP are high enough to say that it is significantly present in the cultured media. 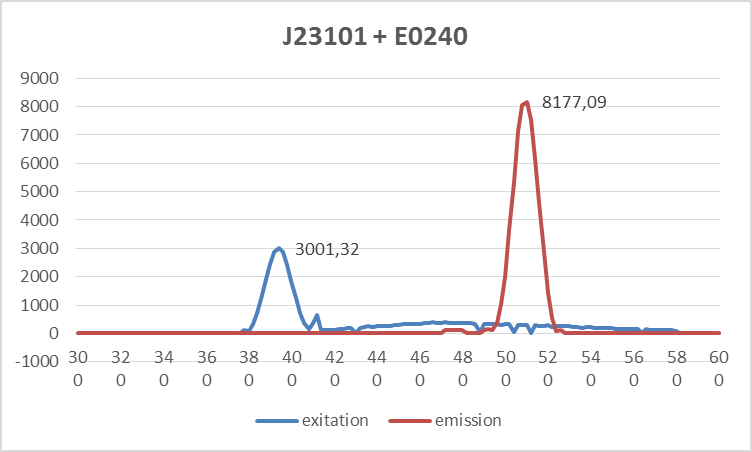 Additionally, blank samples have shown no presence of fluorescence in the protein concentration and emission experiments.